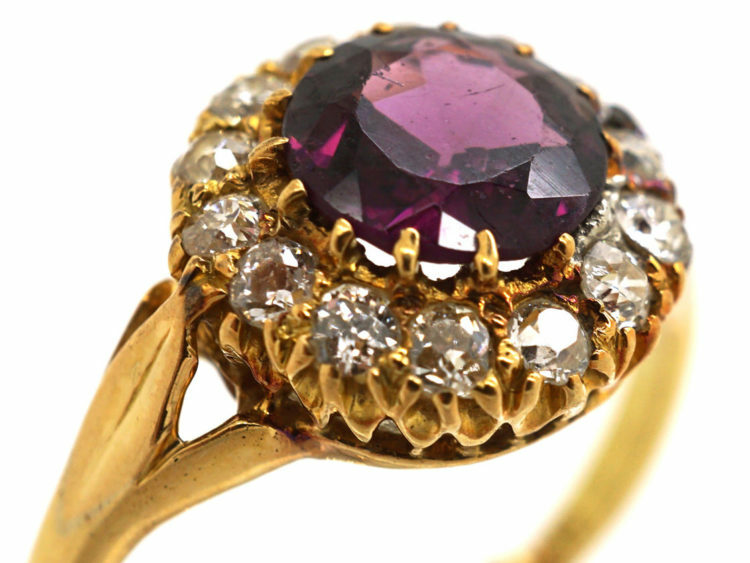 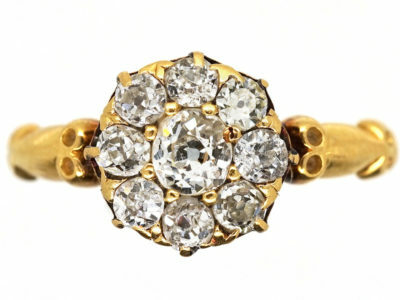 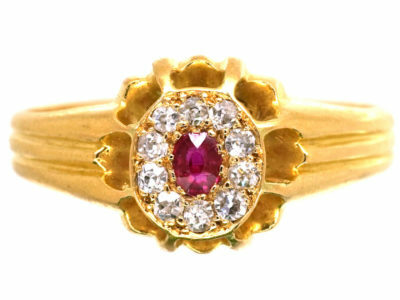 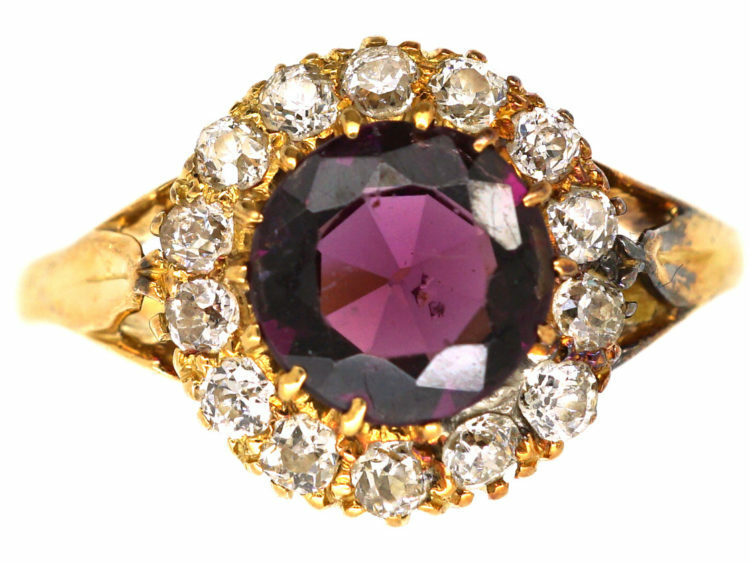 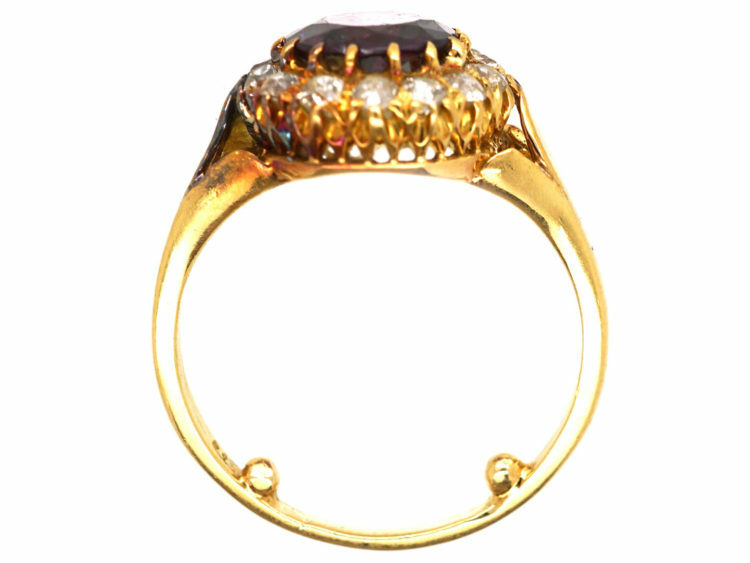 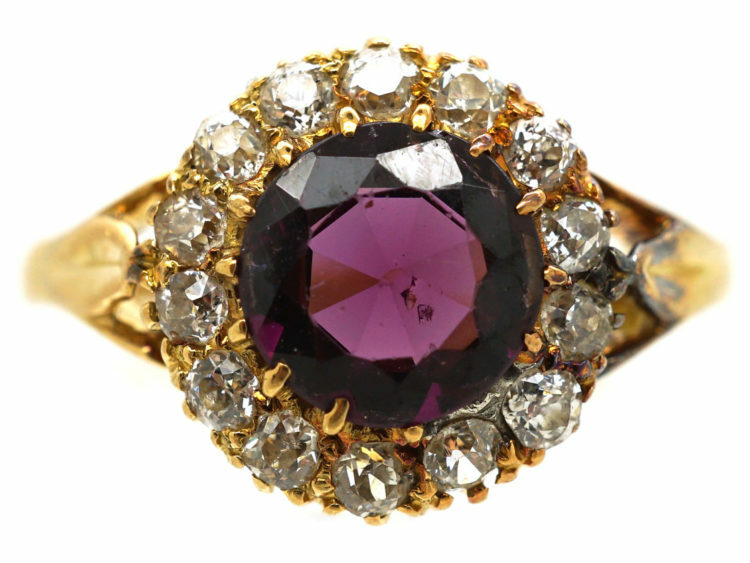 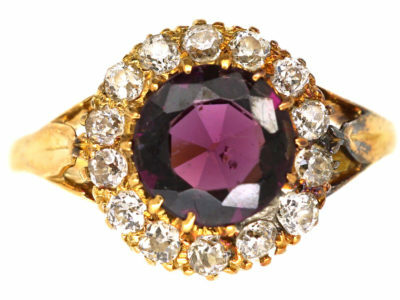 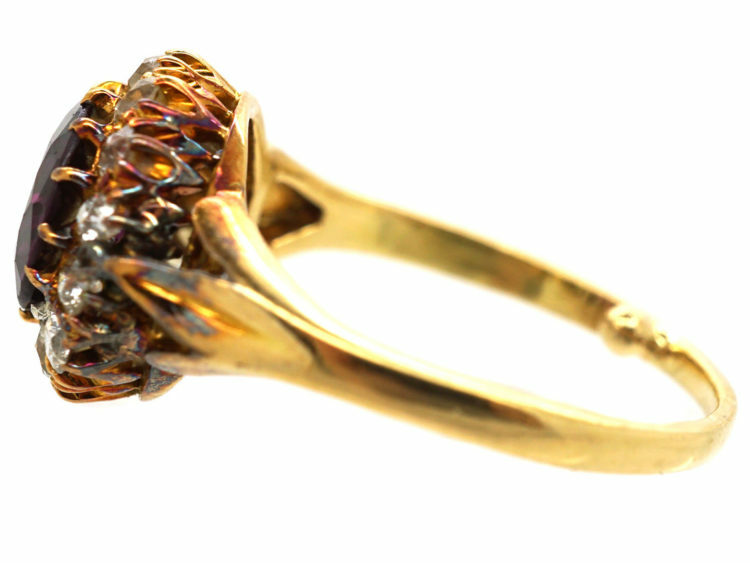 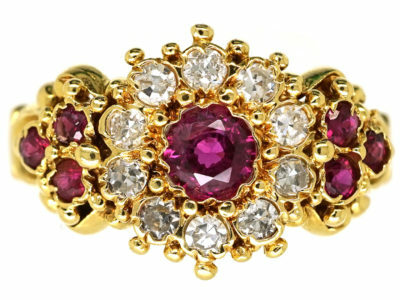 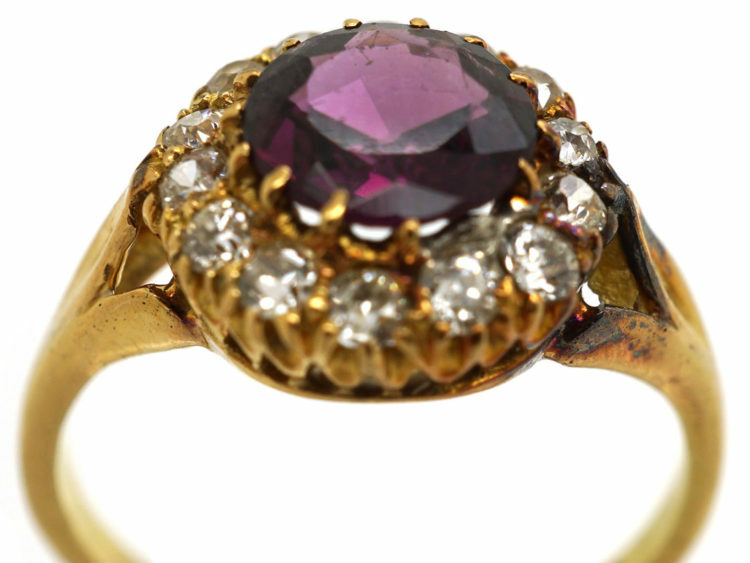 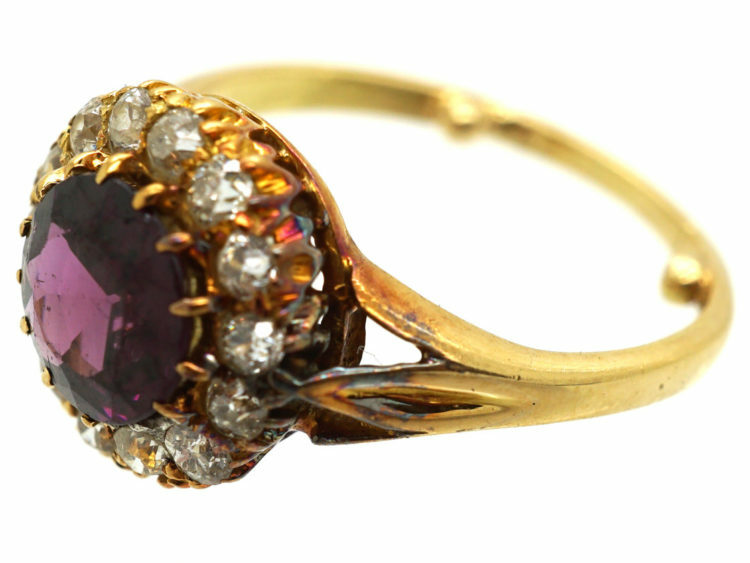 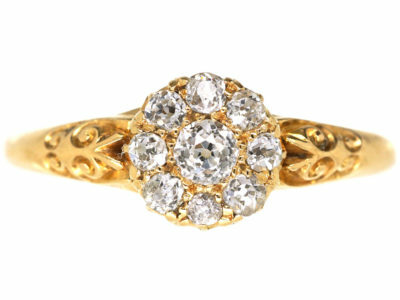 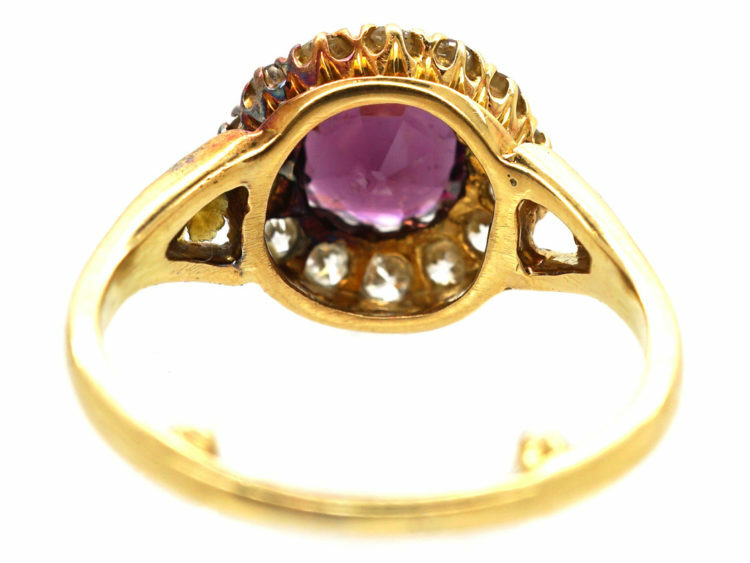 A beautiful 18ct gold almandine garnet and diamond cluster ring that was made circa 1900-1910. 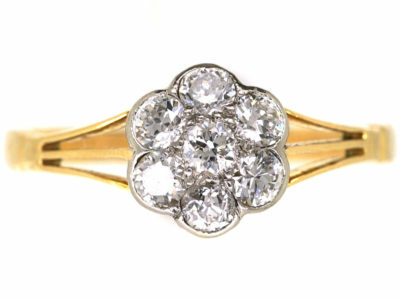 It has a really pretty shank that divides in to three when it reaches the cluster. 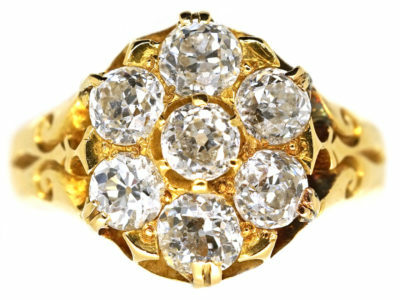 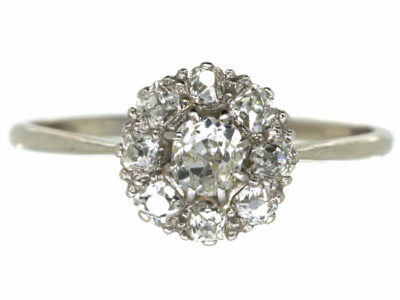 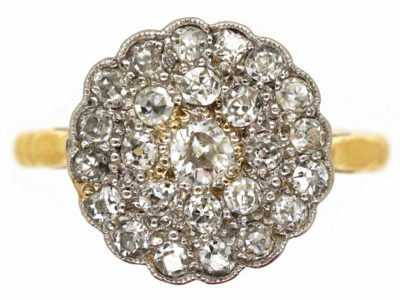 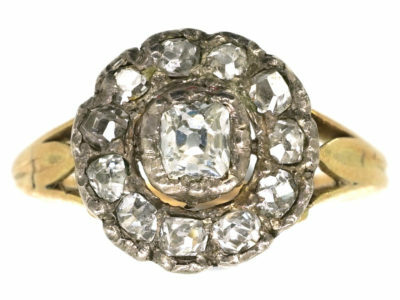 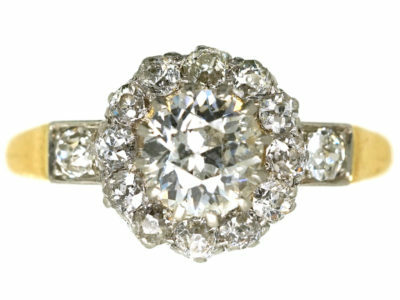 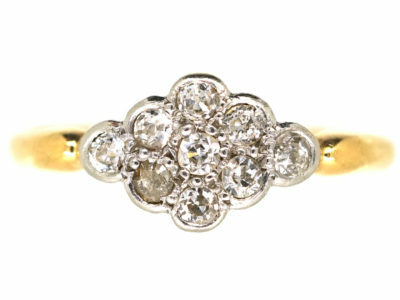 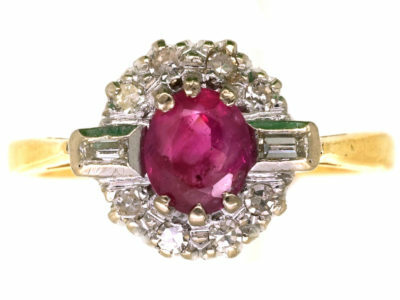 It is a light and very pretty look when worn, and would be ideal as an engagement or dress ring.